An 11-year legal action over a YouTube video of a baby dancing to Prince’s hit Let’s Go Crazy has been settled. 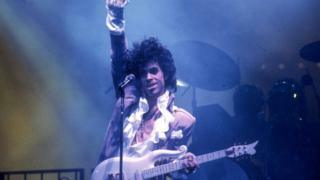 Last week the US Supreme Court refused to hear an appeal from Universal, which owns the rights to Prince’s music, over a previous ruling by the Ninth Circuit. This led to both parties coming to their own agreement to settle the case. Mrs Lenz, represented in court by US digital rights group the Electronic Frontier Foundation, said in a statement that Universal’s processes for handling such cases were now “much better”. Two weeks ago, Mrs Lenz’s daughter Zoe, who also appears in the video, posted a comment that read: “I remember everything to this day. “I wanted my brother to race with me around our kitchen (he was just able to walk). “While we were racing, Let’s Go Crazy was on the radio that was in our kitchen. “My brother [stopped] racing to dance while I raced around him.